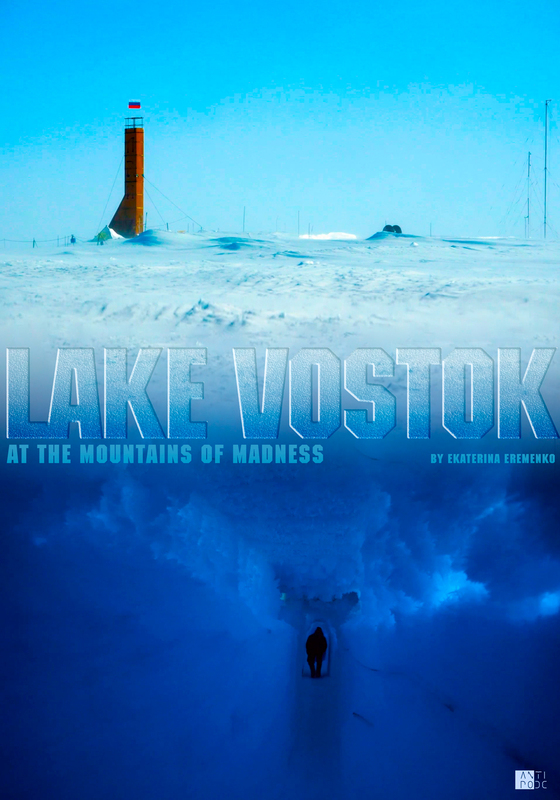 In 1999 I got the idea to make a film about Lake Vostok. 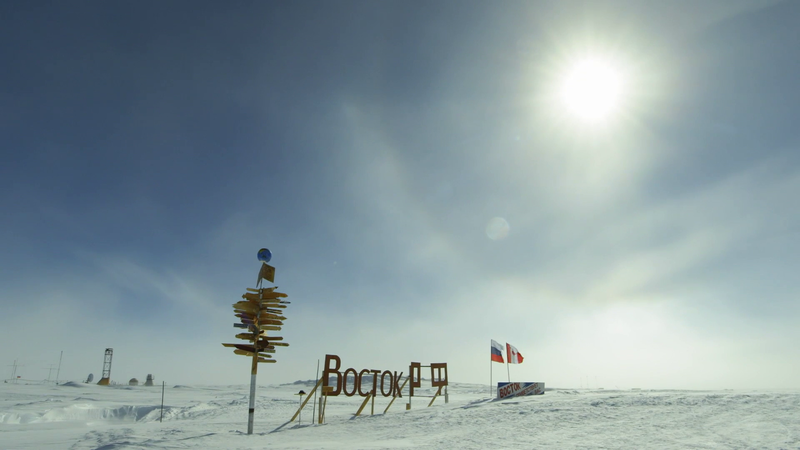 At that time I was a student at the Russian film school VGIK, and the story of the exploration of Lake Vostok seemed to be a great target for a film: a unique scientific and technological project, where Russia had somehow priority in the World. As it is turned out, Russian scientists were very lucky to have an Antarctic station just above this hidden Lake- the last great unexplored discovery on Earth. 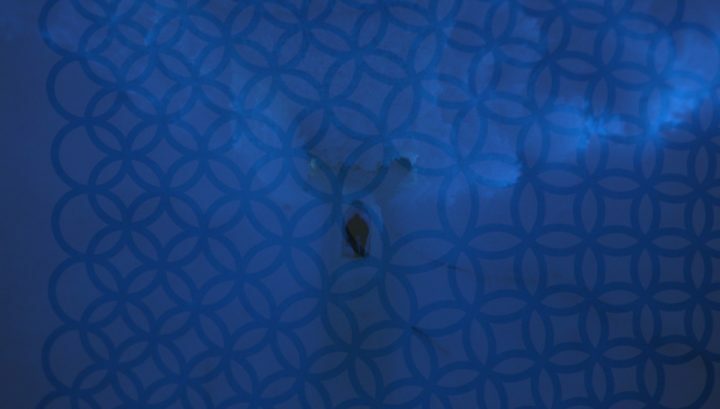 When I started research and while I was meeting the scientists involved, some of them warned me: the Lake is hiding secrets and bad luck follows the people, who tried to come close. 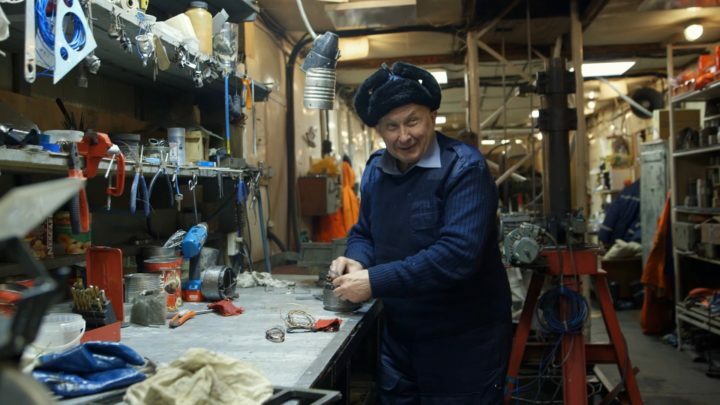 One German journalist, who had spent one year on the station Vostok trying to make film, got crazy; a Russian filmmaker lost his job, got divorced, but did not finish his film. I will not bore you with all the difficulties I had during the last18 years, when I was trying to make this film. It still looks unbelievable that no one even came close, during all these years, to make a film on this subject. 1936, one year before his death, H.P. Lovecraft wrote one of his most famous books “At the Mountains of Madness”, describing an expedition to the Antarctic. This book ends with a warning to the explorers of this continent and somehow amazingly predicts many of the things that happened in the science afterwards. Hollywood would not have missed the chance to make a film based on this book and even announced the beginning of the production with such big names involved as Tom Cruse, Guillermo Del Toro, and James Cameron. Ironically, similar to what was written in the book, bad luck followed this film project, which has not been finished yet. When I discovered all that, I was amazed by how many of the things narrated in the book had actually happened in the reality of the exploration of Lake Vostok. The book of Lovecraft is considered as the description of mathematical non-Euclidean Geometry. In math the product of two negatives gives a positive. I tell the story in two parallel lines- the real world of the Russian explorers as well as the magical world of Lovecraft. But at the end of the day, I wanted to investigate, what drives people to step into unknown territories. 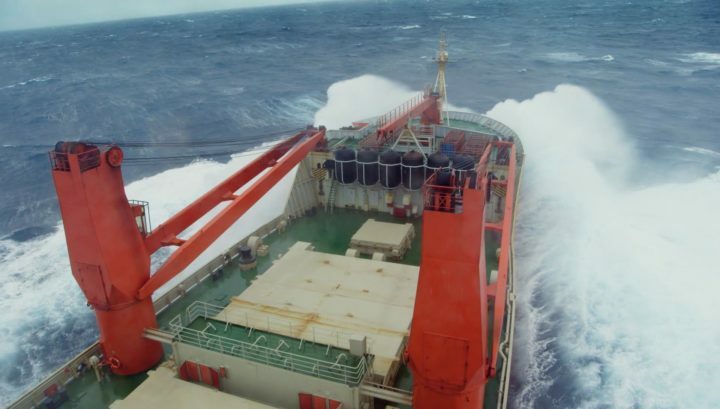 It is about courage, fear, horror, and the pioneers’ fascination, regardless of whether they write books, work in the film industry, or explore the Antarctic. 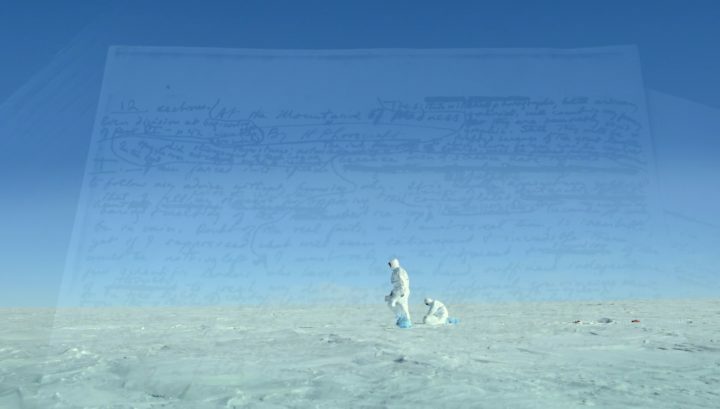 More than 100 years ago, explorers raced to discover the South Pole. Now scientists are racing to discover the secret subterranean world of rivers and lakes buried miles beneath it. 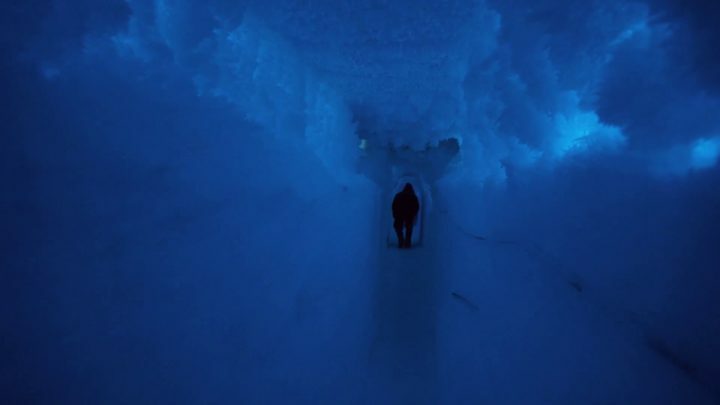 In 1974, scientists made a sensational discovery: a vast lake underneath the icy desert of Antarctica, untouched for 400.000 years, Lake Vostok. 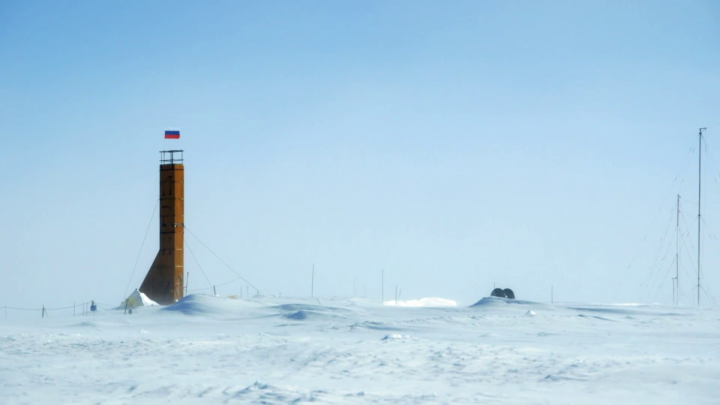 In spring 2012, after 40 years of drilling, Russian scientist broke through the ice. In two different narrative strands the film tells the story of the evolution of life and climate, the story of four decades of exploration in the coldest place on Earth, and it accompanies the scientists on their final trip to the camp. 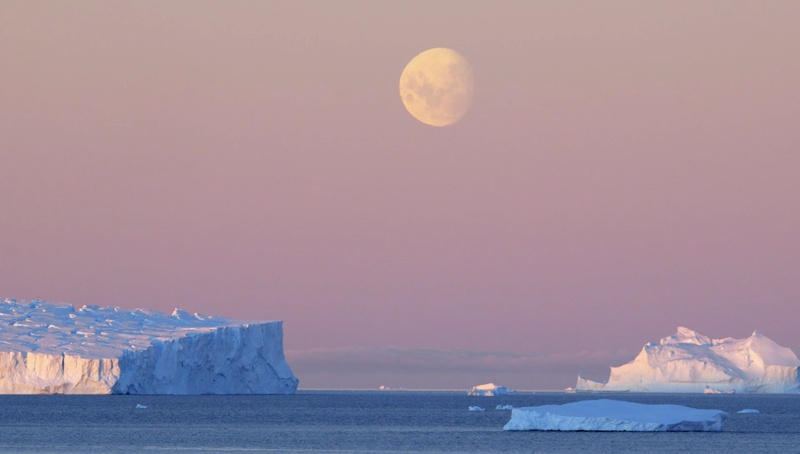 The film also explores the mythologies and legends surrounding Antarctica – from H.P. Lovecraft to James Cameron: the ‘Mountains of Madness’ have lured many into their realm – not many left unscathed.